I found a few tapes (and a buttload of DVDs) over the weekend, which I will post about soon, but here's one of the more interesting. Perhaps due to the popularity of the Video Treasures and later (several) Anchor Bay VHS releases, this initial Vestron Video edition seems rarer than it should be nowadays. We are the things that were and shall be again! One of my favorite films of all time, Jayson. That's right I said it. And I have the VHS of this still wrapped in plastic, unopened and stored away. And I also have the 1300 other re-release VHS/DVDs that came down the pike as well. 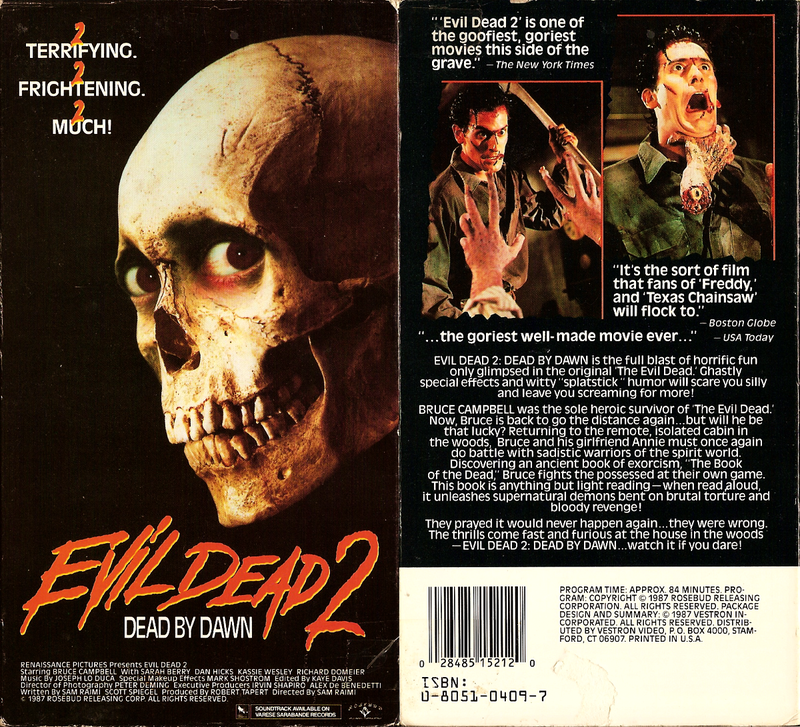 Maybe it's the nostalgic factor but this VHS version will always be my favorite casing even over the BOTD version.